Now that's a big smile! 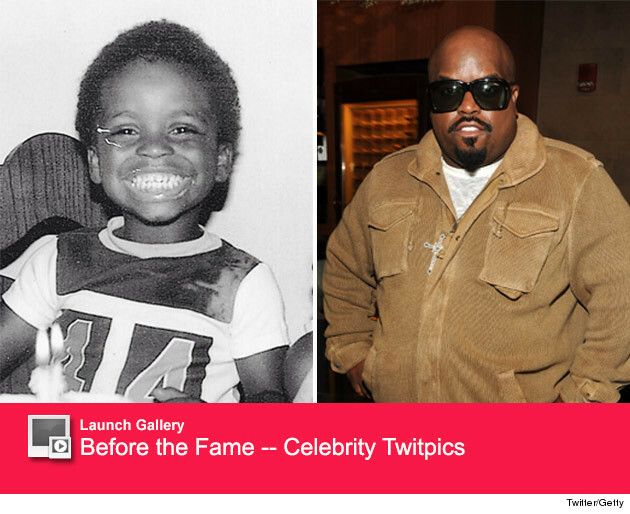 CeeLo Green posted the most adorable throwback shot via Twitter on Thursday, posing with one giant grin in a sports T-shirt. "Put on a smile," he captioned the adorable shot, which showed him sitting next to his equally cute sister. The "F--k You" singer has been keeping busy since he left "The Voice" earlier this year. The singer/producer has a brand new show on TBS, "CeeLo Green's the Good Life," which follows the entrepreneur and his childhood friends as he tackles new projects within the industry and travels the country. The show which is part-reality and part-comedy is already generating a lot of buzz, too. "People don't really get a chance to experience me domestically, if you will," he told Yahoo earlier this week. "I think that there is a growing community that would be interested in such a thing and in the CeeLo Green brand. You want to know more about that wild and crazy guy." The singer also says that he does miss "The Voice," but he's happy to be working for himself these days. "I miss the people there and the relationships. But I don't miss the obligation; it was just exhausting," he reveals. "I could not multitask in an effective way, the way I would've liked. I couldn't be here, there, and everywhere all at the same time, with nothing conflicting. So, I'm enjoying this space that I'm in right now. I'm not an employee anymore, I'm an executive producer." Hopefully Green will at least make a cameo or two in the upcoming seasons of the singing series -- will you be watching the "Cry Baby" crooner's new reality show? Tell toofab in the comment section below and click "Launch Gallery" above to see even more stars before they were famous! "The Voice" Judges Cover "I Love Rock 'n' Roll" -- Better Than Britney?